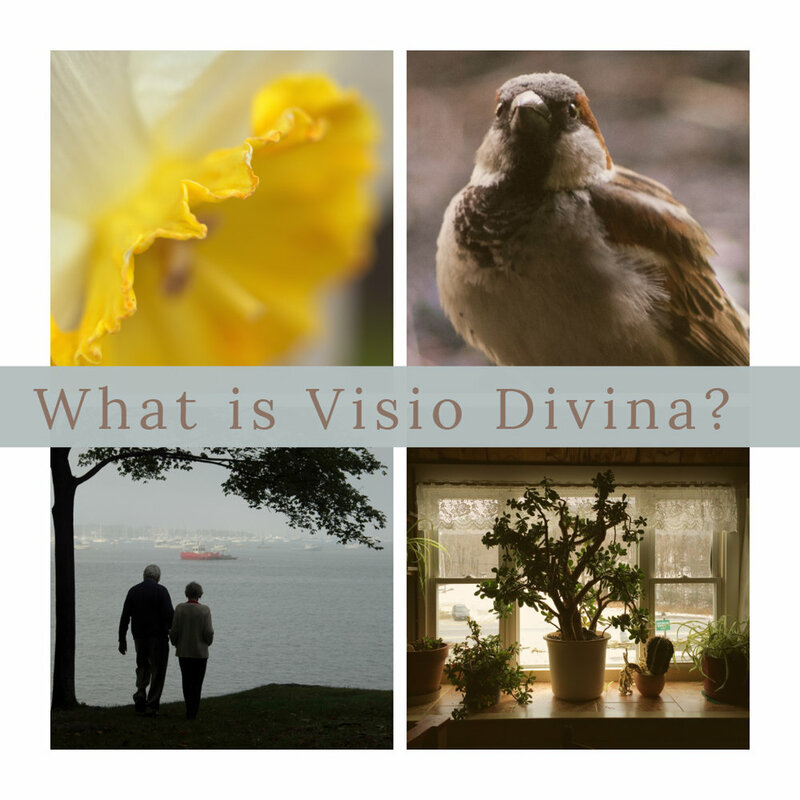 Kathryn Shirey shares the following in her blog post about visio divina. An important thing to keep in mind before beginning this practice is your expectations of what might happen. I encourage you not to have any! You may or may not have any grand revelations. The point is to practice and to offer quiet time to be attentive to God’s presence, to spend time with your Creator and the lover of your soul. This steps I have outlined below have been gleaned from and put together from a number of different resources. I have made the outline of this process comprehensive but you can adapt it to your needs and time frame. Most resources, and my own experience, indicate that this prayer process will take about 20 minutes. Something that I do each morning before I have my quiet time and other times before I engage in a spiritual practice is to spend a few minutes “free-writing” whatever is on my mind, especially the to-dos that tend to swirl around my head. This is a way to release your concerns to God and enable you to quiet your heart and mind for the time ahead. This journaling is not an official part of this process but I have found it so beneficial to my own practice! Some people also find it beneficial to meditate on a cross, lit candle, or other quiet symbol to help them begin to focus on God. Step 2: If the image is specifically related to a scripture, scene, or story from the Bible, go and read it. Step 3: Take a “first look” at the image. This is a slow look taking in all the aspects of the image before you. Observe your feelings, thoughts, and initial reaction. Observe the forms, figures, colors, lines, textures, shapes… Does it remind you of anything? Do you find yourself drawn to or repelled by anything in the image? What are your initial thoughts and feelings? Do not pass any judgment or evaluation of your initial response – just stay open to the image and prayer. Note: If at any time, you begin to feel distracted, be gentle with yourself. Write down any distracting thoughts and then spend a few minutes quieting your mind again and focusing on God and then pick up wherever you left off in the process. Step 4: Record your initial impressions of what you see and what strikes you in the image. Remain receptive and open to surprises. Release pre-conceived notions. Often has more to do with the way you see something than what you see. Keep an attitude of wonder. Step 5: Take a second look and explore more fully your reactions to the image. What feelings are coming to you? Why? Are there colors, shapes, or symbols in the image that mean something to you? Is there something that strongly appeals to you? Repels you? Confuses you? Sit with those questions, thoughts, feelings, and reactions before God and ask for clarification. Step 6: Record the feelings, thoughts, questions, memories, and meanings that arise for you. Step 7: Pray. Ask the Holy Spirit to guide you into all truth. Bring all of what you’ve experienced before God. Does the image now evoke a value or different way of thinking or being? Does it open or deepen a desire in your heart? How do you feel God is calling you to respond? Gratitude? Supplication? Wonder? Lament? Confession? Forgiveness? Praise? Step 8: Record in your journal the insights you want to remember and the actions God has invited you to take. Spend some time thanking God for speaking to you. other pieces of work depicting the same story/scene and comparing the similarities and differences. I encourage you to revisit this same artwork in the future. As Christine Vaulters Paintner says in The Artist’s Rule : Nurturing Your Creative Soul with Monastic Wisdom: “there are a multitude of layers that can't be exhausted with just one sitting. Honor the art as an expression and allow it to continue to reveal its meaning.” Just as we revisit Scriptures and find various levels of meaning, the same is true of art. Next week, in Part 2, I discuss “Hearing God” and “Images and Metaphors” and how these work with the process of visio divina. In Part 3, I share an example.